Now, just four months later, billing problems are piling up. Hundreds of Iowa’s Medicaid providers say the insurance companies aren’t paying them on time. For many, administrative costs have gone up. The privatized program, which Branstad claimed would “modernize” care, is actually making it harder for many doctors, hospitals, clinics, and nonprofits to provide care. A state senator says the program is in “a state of emergency.” If providers continue to go unpaid, many may be forced to stop taking Medicaid patients or close their doors all together. By handing over control of Medicaid to corporations, Branstad has jeopardized the jobs of thousands of providers and the health of nearly 600,000 elderly, disabled, and poor Iowans—22% of the state’s population. So why is this even happening? 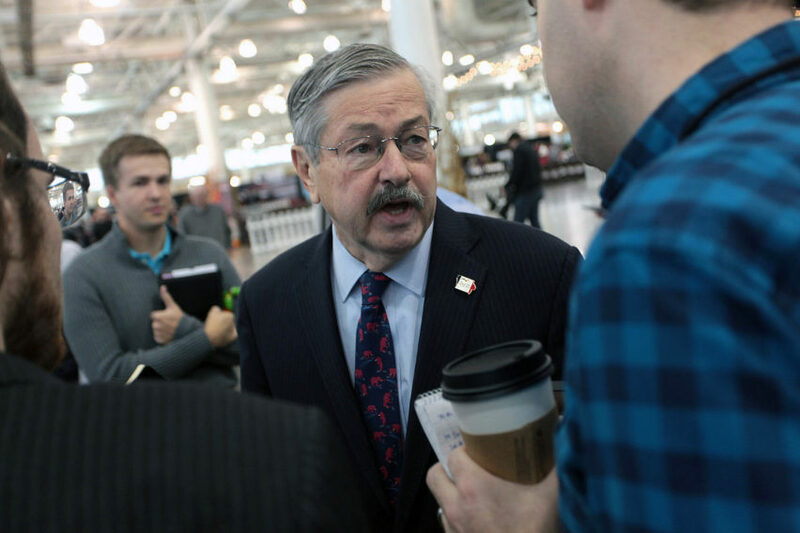 Branstad should’ve known that allowing corporations to profit from the only source of health care available to the state’s most vulnerable wouldn’t add up. If he had simply looked southwest a few hundred miles, to Kansas, he would’ve seen that privatizing Medicaid there has led to rising costs and reduced care. By handing over control of Medicaid to corporations, Branstad has jeopardized the jobs of thousands of providers and the health of nearly 600,000 elderly, disabled, and poor Iowans. Instead of investing in Medicaid, Branstad chose to follow the “smaller government” playbook, which says privatization saves taxpayers money. But it’s pretty clear what privatization is really about. By weakening democratic public control over a vital public good, the already vulnerable are at risk of being pushed further to the margins. Later this year, we’re releasing a report on the ways in which the decades-long experiment of privatizing public goods and services has helped fuel America’s recent historic inequality. From Medicaid to public transit, education, and water, privatization often hurts those that need public goods the most. We hope the report helps us work together to restore the very sense of “community” that sustains a healthy and equitable society. Quality public goods and services are a must-have in such a society. They should be controlled by us, not corporations.